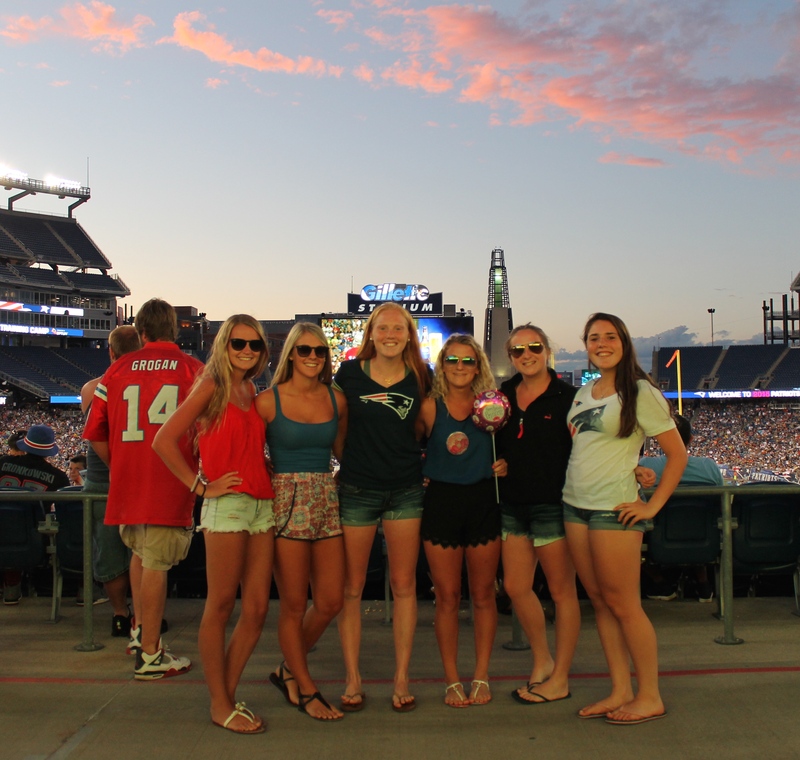 Foxborough residents Mary Beth Sweeney, Chloe Hurley, Caroline Wheatley, Annie McGeary, Molly Farrell and Hallie Canfield were among the 23,497 fans to attend the Patriots’ ninth annual in-stadium practice on Wednesday, Aug. 5, at Gillette Stadium. McGeary, who was celebrating her 17thbirthday, said, “It’s so cool to celebrate my birthday at Gillette Stadium. I love the Patriots and we’re having so much fun.” The Patriots annually invite Foxborough residents and season ticket members to the event as a way to thank their local community and loyal fan base for their continued support. Fans attending the practice were able to watch player warm-ups and numerous positional drills before the team participated in 7-on-7 and 11-on-11 drills.